Summers + humidity = heat bumps between the thighs! Definitely not a situation you want to be in. But, many a time, you cannot prevent these rashes. Whatever the scenario may be, we can help you find relief from the burning and itching sensation with ingredients easily found at home. Read on for more details. Heat bumps between the legs are very common during summers when the temperatures rise to the extremes. In the hot and humid weather, germs easily enter the body through the sweat glands. This can lead to inflammation and infection of the follicles. When these sweat glands get blocked, the sweat starts accumulating under the skin and eventually results in heat bumps. Heat bumps are also known as miliaria or heat rashes and can also occur on your chest, underarms, and back apart from in between the legs. These heat bumps are inflamed, itchy, and red in appearance. Now that we have understood how these heat bumps are formed, let’s take a look at the effective home remedies that will help you get rid of heat rash bumps on your legs. Shower as usual using cold water for not more than 30 seconds – 1 minute. You can also soak the affected areas in lathered cool water for a few minutes. 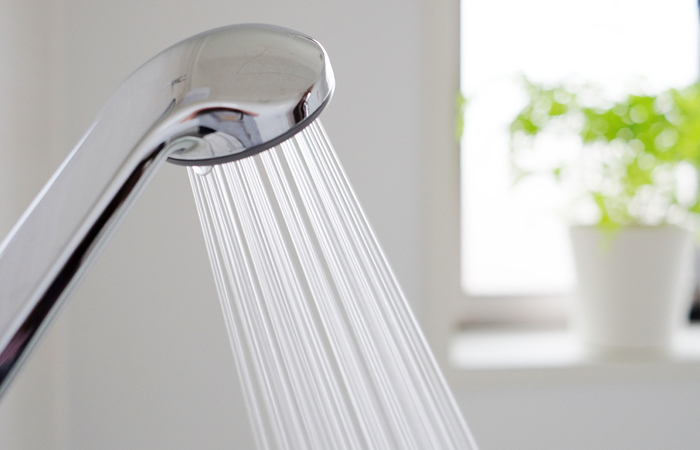 Cold showers minimize the occurrence of heat bumps as the cool temperature of the water soothes the inflamed skin. They also clean the skin of sweat and dirt. Grate the cucumber and squeeze out its juice. Add this juice to the coconut oil and mix well. Apply this in between your thighs and legs, and leave it on for 20-30 minutes. Apply this once or twice every day until you get relief. 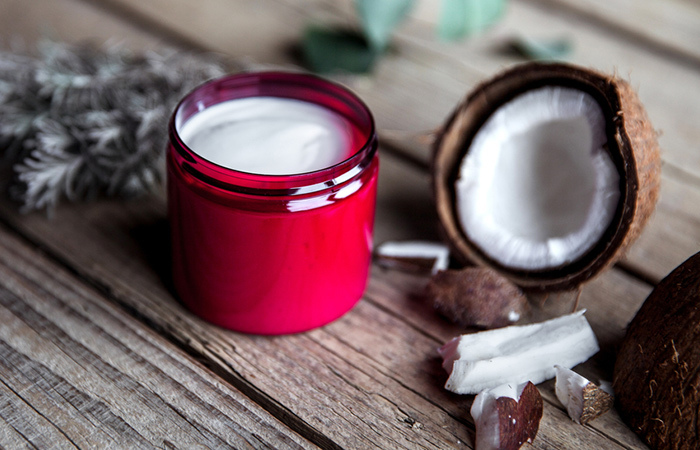 Coconut oil soothes inflamed and irritated skin. It contains essential fatty acids and other minerals that help to restore the skin’s normal structure. This oil also cleanses the pores and unclogs them (1, 2). Cucumber acts as a coolant for the skin and gives instant relief from the itching and burning sensation (3). Put the ice cubes into the plastic bag and seal it properly. Now, wrap the towel (or any soft cloth) around the bag. Place it on the heat bumps between your legs for 8-10 minutes and then remove it. Repeat this process at an interval of four hours till the redness goes away. The coolness of the ice pack will soothe the burning sensation. Eventually, the redness and itching will also die down (4). Apply aloe vera gel between your legs and leave it on for as long as possible. Repeat at least three or four times during the day to reduce redness and aid healing. 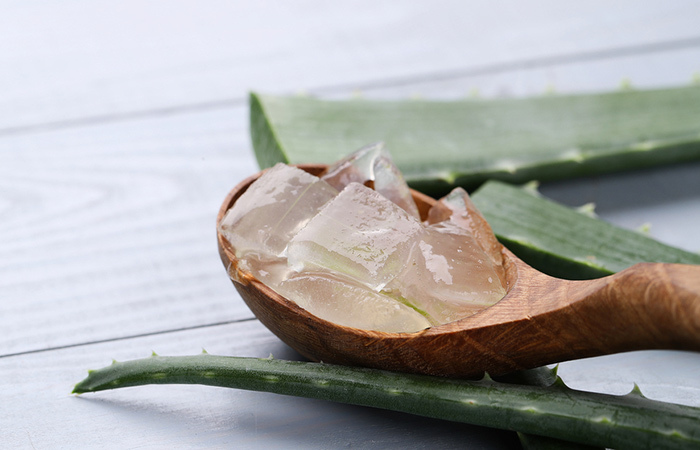 Aloe vera gel has healing properties that help reduce heat bumps. It not only relieves itching and swelling but also imparts a soothing and cooling effect (5). It is not good to use tanning company aloe vera gels as they contain chemicals that clog the pores and aggravate the condition. Use organic aloe gel. 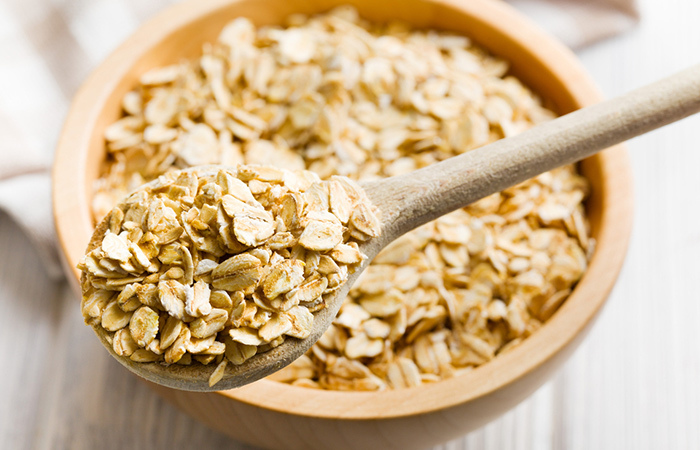 Add the oatmeal to the warm bath water and stir till it dissolves. Soak in this water for 10-15 minutes to relieve the condition. Repeat this every day until you get relief. The oatmeal bath helps in reducing heat bumps between legs as it has anti-inflammatory and skin soothing properties. Additionally, it also cleanses the skin, thus removing any impurities or dirt that may clog the pores (6). After taking a cold shower, pat the skin dry. 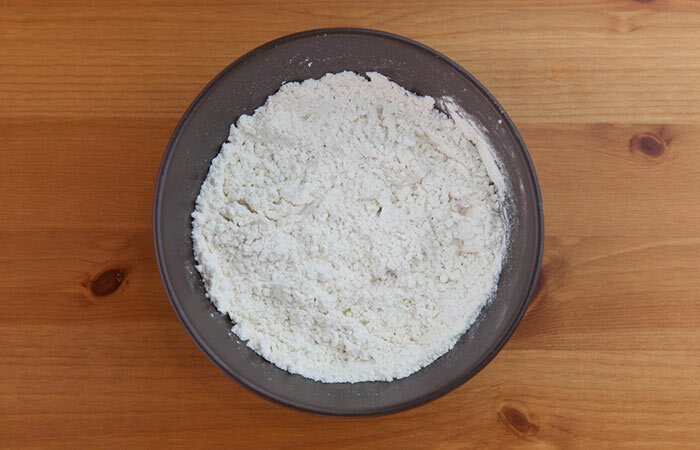 Apply cornstarch or baking soda powder between your legs. Do this every day after taking a shower. Cornstarch or baking soda absorbs the excess water on the skin that intensifies heat bumps. This helps the rashes to heal sooner. Clean the affected area and apply calamine lotion to it. Massage gently until it is absorbed into the skin. Repeated use on a daily basis is recommended. You might have to raid your mother’s or grandmother’s cabinet for this. Calamine lotion contains zinc that exerts a soothing effect on the bumps. This will reduce redness and heal the bumps completely (7). 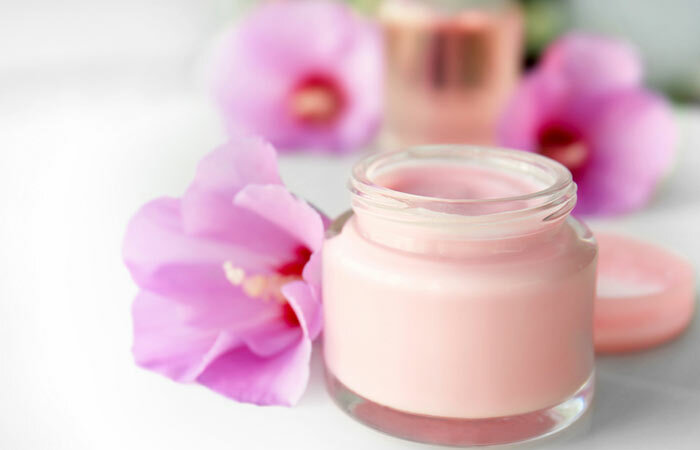 Make a smooth paste of sandalwood powder and rose water and apply it directly on the bumps. After it has dried, wash off with cold water. 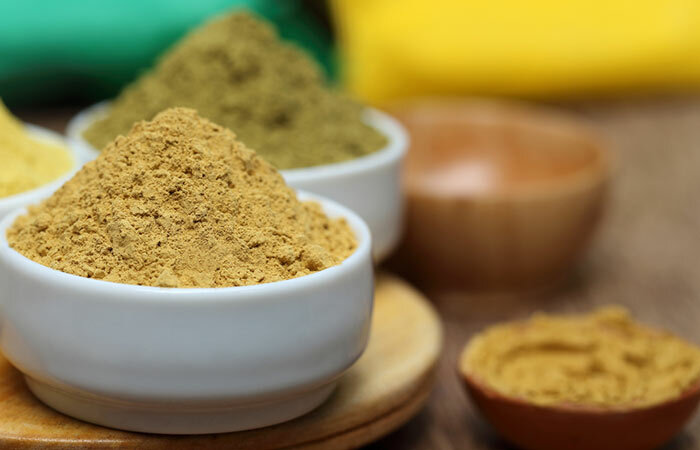 Sandalwood powder has a skin rejuvenating property that is effective in treating skin irritation and rashes, whereas rose water is a natural skin toner (8, 9). This remedy has a soothing effect and also reduces the itchy sensation. Grind the neem (margosa) leaves and mix with rose water to form a thick paste. Apply this paste to the affected area and leave it on for 30 minutes. Wash off with water and pat the skin dry. Apply this pack twice a day. 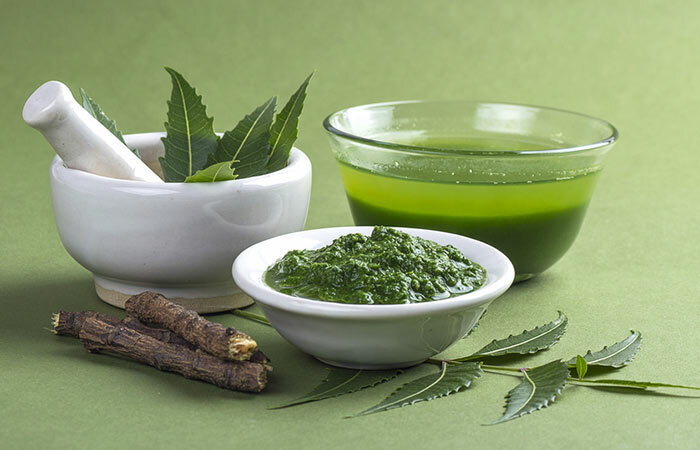 Margosa or neem is a natural herb commonly used to treat skin ailments. It has antiseptic and anti-inflammatory properties. It prevents the rashes from getting infected and alleviates the swelling and redness (10). Pierce the capsules and remove the cod liver oil present inside. Add this oil to a pea-sized amount of vitamin E cream and mix well. Apply this cream mixture on the heat bumps and massage it in. Do this twice a day, once in the morning and once at night. 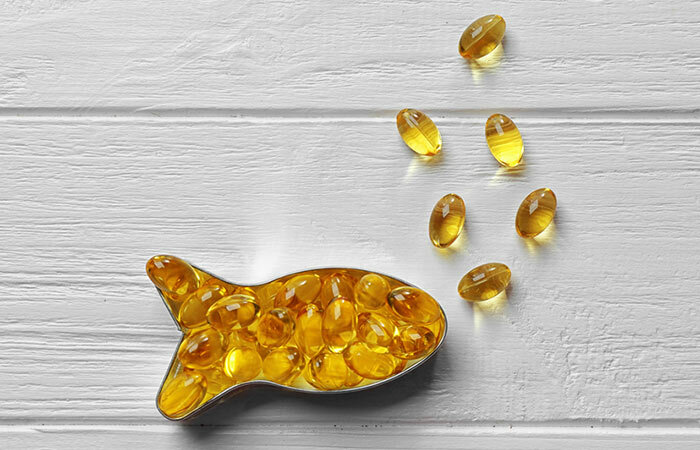 Cod liver oil contains healthy omega-3 fatty acids that have anti-inflammatory effects on the skin. It also contains vitamin A that keeps the skin healthy (11). Vitamin E has an antioxidant effect on the skin and is also an anti-inflammatory (12). 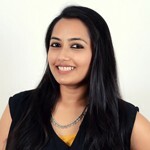 This list contains the best remedies one can use at home to treat heat bumps in between the legs. As excessive sweating is the main cause of these bumps, it is best to avoid the sun. Use umbrellas when stepping out during summers. Wear loose-fitting cotton pants or bottoms. Natural or cotton fabrics can easily soak up excessive perspiration, and loose clothes will keep the body ventilated and dry. Avoid wearing nylon or synthetic garments as they can cause your sweat to accumulate between the thighs and increase the chances of a heat rash. Drinking plenty of liquids and keeping the body well hydrated is a natural way to reduce heat bumps on legs. Limiting sugar intake and following a more anti-inflammatory diet that is rich in leafy greens, omega-3 fats from fish or walnuts, minimal refined grains, along with caffeine, alcohol, and dairy reduction can help. You can try using Weleda diaper cream to obtain relief. 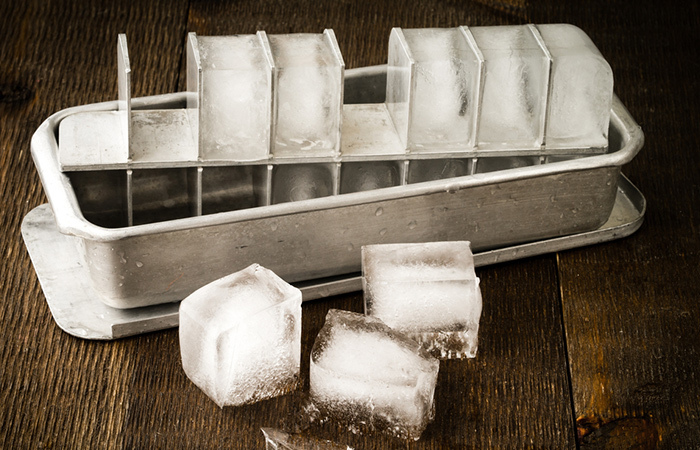 These simple changes can greatly help in preventing heat bumps. If you still get them, all you need to do is use any of the remedies mentioned above and get quick relief. Hope you have a wonderful, heat bumps-free summer. Cheers!